SunPower is now providing high-efficiency SunPower Performance Series (P-Series) solar panels under the Caterpillar brand. Offered as part of the Cat Hybrid Energy Solutions suite, the monocrystalline, shingled-cell Cat PVC395 MP solar panels are currently available through the Cat dealer network in Southeast Asia, Africa, South America, and the Middle East. • Cat Bi-Directional Power (BDP) inverters, which provide real and reactive power with grid-forming and grid-following capabilities. Montgomery County, Maryland, saw the official activation of two advanced microgrids at its Public Safety Headquarters (PSHQ) and Correctional Facility. The microgrids are on-site clean power generation systems, which permit both facilities to operate independently from the power grid to ensure continuity of operations in the event of a catastrophic storm or major power outage. The completed project is provided through an innovative public-private partnership with Schneider Electric and Duke Energy Renewables that required no upfront costs for the County. The on-site power generation at these two sites is anticipated to reduce greenhouse gas emissions equal to removing 765 cars off the road or planting 94,000 trees. 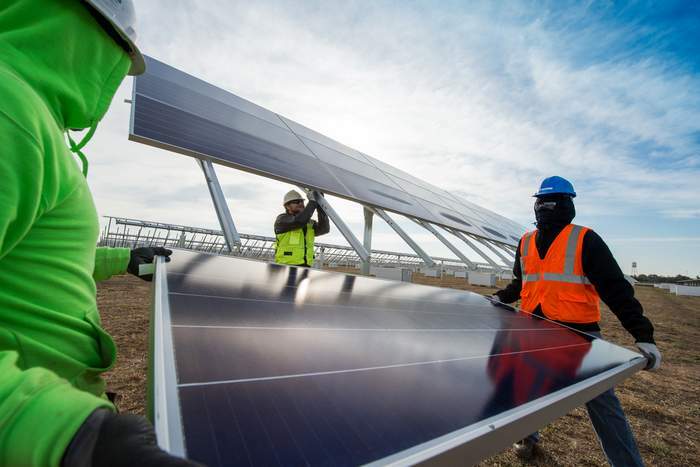 Given the Schneider Electric and Duke Energy Renewables public-private partnership (P3) made the project possible with no upfront capital costs, the County’s other budget priorities were not affected. As part of the agreement, Duke Energy Renewables will own and operate both microgrids with the assistance of its subsidiary, REC Solar, and Schneider Electric. The two advanced microgrids will produce approximately 3.3 million kilowatt hours of solar energy annually, as well as 7.4 million kilowatt hours of combined heat and power. 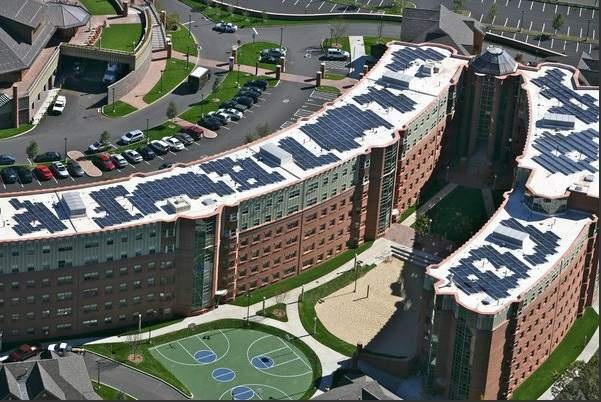 A unique power control system for Quinnipiac University’s York Hill Campus, located in Hamden, Connecticut, ties together a range of green energy power generation sources with utility and emergency power sources. The powerful supervisory control and data acquisition (SCADA) system gives campus facilities personnel complete information on every aspect of the complex system. Initially constructed when the term microgrid had barely entered our consciousness, the system continues to grow as the master plan’s vision of sustainability comes into fruition. In 2006, Quinnipiac University began construction on its New York Hill campus, perched high on a hilltop with stunning views of Long Island Sound. Of course, the campus master plan included signature athletic, residence, parking, and activity buildings that take maximum advantage of the site. But of equal importance, it incorporated innovative electrical and thermal distribution systems designed to make the new campus energy efficient, easy to maintain, and sustainable. Electrical distribution requirements, including primary electrical distribution, emergency power distribution, campus-wide load shedding, and cogeneration were considered, along with the thermal energy components of heating, hot water, and chilled water. The final design includes a central high-efficiency boiler plant, a high-efficiency chiller plant, and a campus-wide primary electric distribution system with automatic load shed and backup power. The design also incorporates a microturbine trigeneration system to provide electrical power while recovering waste heat to help heat and cool the campus. Solar and wind power sources are integrated into the design. The York Hill campus design engineer was BVH Integrated Services, PC, and Centerbrook Architects & Planners served as the architect. The overall campus project won an award for Best Sustainable Design from The Real Estate Exchange in 2011. The ambitious project includes numerous energy components and systems. In effect, it was a microgrid before the term was widely used. Some years after initial construction began, Horton Electric, the electrical contractor, brought in Russelectric to provide assistance and recommendations for all aspects of protection, coordination of control, and utility integration – especially protection and control of the solar, wind and combined heating and power (CHP) components. Russelectric also provided project engineering for the actual equipment and coordination between its system and equipment, the utility service, the emergency power sources, and the renewable sources. Startup and implementation was a complex process. The power structure system infrastructure, including the underground utilities, had been installed before all the energy system components had been fully developed. This made the development of an effective control system more challenging. Some of the challenges arose from utility integration with existing on-site equipment, in particular the utility entrance medium voltage (MV) equipment that had been installed with the first buildings. Because it was motor-operated, rather than breaker-operated, paralleling of generator sets with the utility (upon return of the utility source after power interruption) was not possible in one direction. They could parallel the natural gas generator to the utility, but the generator was also used for emergency power, so they could not parallel from the utility back to their microgrid. In response to the unique challenges, Russelectric designed, delivered, and provided startup for a unique power control system, and has continued to service the system since startup. The system controls all power distribution throughout the campus, including all source breakers – utility (15kV and CHP), wind, solar, generators, MV loop bus substations, automatic transfer switches (ATSs), and load controls. As might be expected, this complex system requires a very complex load control system. For example, it has to allow the hockey rink chillers to run in the summer during an outage but maintain power to the campus. • 15 kilovolt (kV) utility source that feeds a ring bus with 8 medium voltage/low voltage (MV/LV) loop switching substations for each building. Russelectric controls the open and close of the utility main switch and monitor’s the utility main’s health and protection of the utility main. • 15kV natural gas 2 megawatt (MW) Caterpillar CAT generator with switchgear for continuous parallel to the 15kV loop bus. Russelectric supplied the switchgear for full engine control and breaker operations to parallel with the utility and for emergency island operations. • One natural gas 750kW Caterpillar generator used for emergency backup only. • One gas-fired FlexEnergy micro turbine (Ingersoll Rand MT250 microturbine) for CHP distributed energy and utility tie to the LV substations. • Control and distribution switchgear that controls the emergency, CHP, and utility. • 12 ATSs for emergency power of 4 natural gas engines in each building. • 25 vertical-axis wind turbines that generate 32,000 kilowatt-hours of renewable electricity annually. The wind turbines are connected to each of the LV substations. Russelectric controls the breaker output of the wind turbines and instructs the wind turbines when to come on or go off. • 721 rooftop photovoltaic panels gathering power from the sun, saving another 235,000 kilowatt-hours (kWh) per year. These are connected to each of the 3 dormitory LV substations. Russelectric controls the solar arrays’ breaker output and instructs the solar arrays when to come on or go off. The system officially only parallels the onsite green energy generation components (solar, wind and micro turbine) with the utility, although they have run the natural gas engines in parallel with the solar in island mode for limited periods. Since the initial installation, the system has been expanded to include additional equipment, including another natural gas generator, additional load controls, and several more ATSs. Another feature of the Russelectric system for the project was the development of the Russelectric SCADA system, which takes the complexity and detail of all the systems and displays it for customer use. Other standard SCADA systems would not have been able to tie everything together – with one line diagrams and front views of equipment that provide the ability to visually see the entire system. What really made this project stand out is Russelectric’s ability to handle such an incredibly wide variety of equipment and sources without standardizing on the type of generator or power source used. 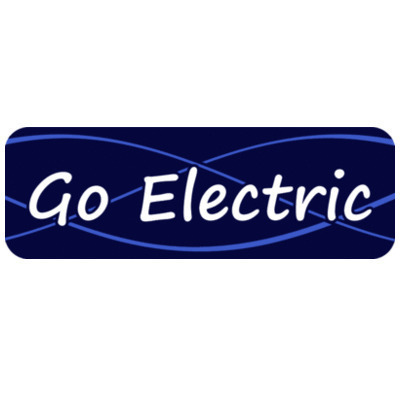 Rather than requiring use of specific players in the market, the company supports any equipment the customer wishes to use – signing on to working through the challenges to make the microgrid work. This is critical to success when the task is controlling multiple traditional and renewable sources. Steve Dunn is the Aftermarket Product Line Manager for Russelectric Inc. Published in January 2018, Navigant Research’s Advanced Energy Storage for UPS Applications report examines the drivers, barriers and regional trends affecting deployment of distributed energy storage systems with uninterruptible power supply (UPS) services for non-mission critical operations. In its breakdown of the competitive landscape of energy storage vendors providing UPS services — including companies like Siemens, Stem, APC by Schneider Electric, ABB and Eaton — Go Electric Inc. was named a key industry player because of its patented behind-the-meter AutoLYNC microgrid control technology. An earlier Navigant Research report, Military Microgrids, published in October 2017, names Go Electric as a Key Industry Player providing microgrid technology to the Department of Defense, which was deployed at three military installations through contracts awarded by the Department of Defense. The recently published Commercial & Industrial Energy Storage Report also spotlights Go Electric for its AutoLYNC technology’s unique capacity to provide customers with uninterruptible power and grid services. The report from business information provider IHS Markit, evaluates the current market presence, future growth strategy, software capabilities and demand response activity for 13 Leading Suppliers of commercial and industrial battery storage systems, including Go Electric, Stem, Green Charge and AMS. Here’s an already installed microgrid in NY, developed by UGE. New York State is going to fund 11 microgrid projects for $11 million as part of the second stage of the NY Prize Community Microgrid competition, says the office of Gov. Andrew Cuomo. Microgrids provide critical power backup for homes, businesses, hospitals and other vital facilities during extreme weather events and emergencies, while supporting development of on-site cutting edge renewable energy technologies. Additionally, microgrids support New York State’s goal to reduce greenhouse gas emissions 40 percent by 2030. As part of the competition, each Stage 2 winner will receive $1 million through the New York State Energy Research and Development Authority, which administers NY Prize, to conduct detailed engineering designs and business plans for a microgrid to bring local clean energy generation and backup power to their communities. In addition, winners advancing to Stage 3 of the competition will have access to financing for microgrid construction through NY Green Bank. 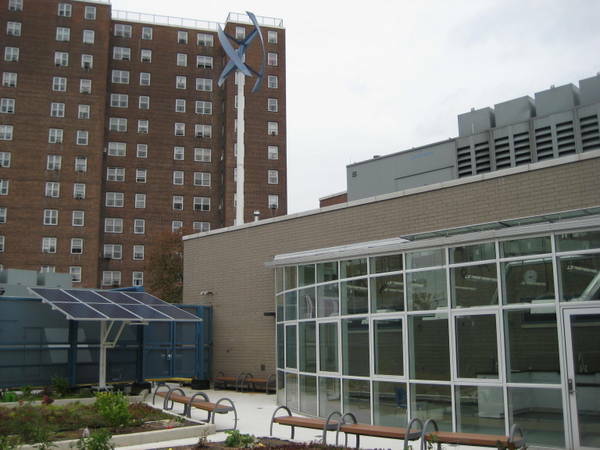 Since community microgrids and clean energy projects are not easily financed through traditional capital providers like banks, access to NY Green Bank financing will be especially important to the completion of these critical projects. NY Green Bank is prepared to facilitate up to $50 million in financing assistance per project to Stage 3 winners subject to its investment criteria, due diligence and financial analysis. This announcement represents a significant increase in financial support for the build-out of project designs in Stage 3 of NY Prize, in addition to the $20 million available through NY Prize. Stage 3 winners are expected to be announced by the end of 2018. NYSERDA awarded over $8 million for Stage 1 of the competition to 83 communities across the State to conduct microgrid feasibility studies in 2015. Nearly 150 communities had applied for the initial stage of the competition. Utilities played an active role in Stage 1 of the competition by identifying “grid opportunity zones,” or geographic areas where microgrids may reduce utility system constraints, and defer expensive infrastructure investment costs. Utilities also assisted communities and other partners with submission of their applications. Funding for Stage 1 and Stage 2 totals nearly $20 million. The Town of Huntington microgrid project partners include TRC Energy Services, National Grid, PSEG Long Island, and the New York Power Authority. NYPA will provide financing directly for projects designated and implemented by the Power Authority.